With the help of Stephanie Heim from the University of Minnesota Extension, Minnesota’s Farm to School Leadership Team, which is made up of 11 organizations, works across the agriculture, education, public health, and economic development sectors to grow and institutionalize farm to school. One outcome of the leadership team was the creation of the Minnesota Department of Agriculture’s (MDA) Farm to School Grant Program in 2013. As of January 2016, MDA has awarded 83 Farm to School grants to 57 institutions, totaling $1.46 million and leveraging $3.5 million of additional funds through local school districts and the Center for Prevention at Blue Cross and Blue Shield of Minnesota.The number of Minnesota school districts engaged in farm to school practices rose from 18 districts in 2006 to 268 districts in 2014! The features below showcase the work of an urban district and rural school in Minnesota. “Local” means so much more than just geographic proximity. It indicates a set of values that schools are looking for in suppliers and partners. Minneapolis Public Schools (MPS) is going beyond local - they’re establishing partnerships specifically with diverse, small and medium sized, sustainable farmers in the region. Their innovative Request for Proposals establishes a set of values (in addition to Geographic Preference) desired in farmer partners – values that include commitments to sustainability, equity & diversity, and community engagement. Wondering how they do it? 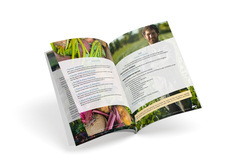 MPS is pleased to launch the MPS Farm to School Toolkit: a case study of how MPS buys fresh, sustainably-grown produce from small and medium-sized local farmers. It’s an easy-to-read summary of MPS’ farm to school procurement process with lots of pictures and links to useful documents and templates. While no two school districts are alike, programs large and small can find something to glean from MPS’ model. Check out the Toolkit. What good is a farm to school program if students, staff, and the community are unaware of it? MPS received a USDA Farm to School Implementation Grant in 2014 to expand its Minnesota Thursdays program, which highlights an entirely locally-sourced meal the first Thursday of every month. New products from new vendors made their debuts, such as freshly-baked corn bread made from certified organic corn meal from a local mill. Farmers were thrilled to see their very own Farmer Trading Cards and Farmer Profile Videos among the outreach materials. With all the emphasis on great food and outreach, participation rates increase up to 10% on Minnesota Thursdays compared to other days of the month! Learn more about Minnesota Thursdays! Once per month, students and staff at Rippleside Elementary in Aitkin are treated to a lunch featuring local food. The local lunches started in September 2015 and the number of staff-purchased lunches is always highest on Farm to School Lunch days. On an average day, six to 11 adults have school lunch. In March, when the lunchroom offered a BBQ Farm Slider, featuring local pulled pork, freshly baked buns, homemade BBQ sauce, coleslaw & hummus with fresh vegetables, 67 staff members purchased lunch! To procure farm fresh food Amy M. Wyant, Aitkin County Statewide Health Improvement Program (SHIP) Coordinator, developed a Farm to School Request for Proposal. A neighboring school district took notice, and Hill City Public Schools will start farm to school lunches this fall. So far, the two school boards have awarded more than $10,000 in contracts to 13 local farms for the 2016-2017 school year. Amy collaborated with partners from the USDA, Minnesota Department of Education, Minneapolis Public Schools, Minnesota Institute for Sustainable Agriculture, and Aitkin County Environmental Services in developing the RFP process. To learn more about the Farm to School program, click on the link to watch a highlight video. Farm to Preschool - The Hmong American Farmers Association and Institute for Agriculture and Trade Policy partner to offer fresh produce and assist in culturally responsive curriculum design for Head Start programs in St. Paul. Many of the families belong to the same Hmong community of farmers, creating a mutually supportive partnership. Learn more. School gardens - As a member of Minnesota’s Schoolyard Garden Coalition, the Jeffers Foundation has supported A Garden 4 Every School providing $500 starter grants to schools. To date, 42 school garden programs are featured on their website, with an additional 25 to be featured in 2016-17. Learn more. Food Hubs - Food Hubs are emerging all over Minnesota and at least three, Sprout Food Hub, Lakes Country Service Cooperatives Fresh Connect Food Hub, and Mankato Valley Action Council’s Food Hubsell directly to schools. Recently, Lisa Mensah, undersecretary of rural development for USDA, attended Sprout Food Hub’s grand opening. Learn more. 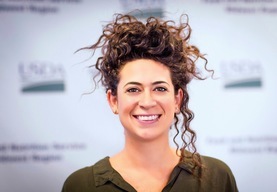 We are excited to welcome Jenna Segal to USDA’s Office of Community Food Systems as the newly appointed Midwest Farm to School Regional Lead! 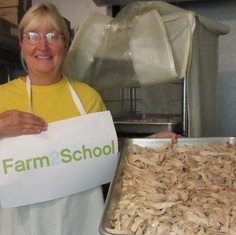 Jenna has been providing farm to school expertise to schools and communities since 2006. Her interest in nutrition and agriculture began during her undergraduate education at McGill University in Montreal, where she received a BA in Environmental Studies and Ecological Determinants of Health. After working with farming communities in Barbados and Ecuador, Jenna moved to the Pacific Northwest to work her way through the food system, from farm to table. In 2014, Jenna obtained a Masters of Public Health in Nutrition from UC Berkeley’s School of Public Health, where she studied federal nutrition policies that impact local farming communities as well as the nutritional health of populations. After graduating, Jenna continued to work with numerous school districts, educational institutions, non-profits and state agencies to develop institutional support for farm to school activities. Jenna is here to help all of you in the Midwest! According to the latest USDA Farm to School Census, in the six Midwest states, 36% of school districts surveyed say they participate in farm to school activities. That’s 1,316 districts and 6,894 schools impacting more than 3.3 million students. Innovative programs are flourishing all across the region. 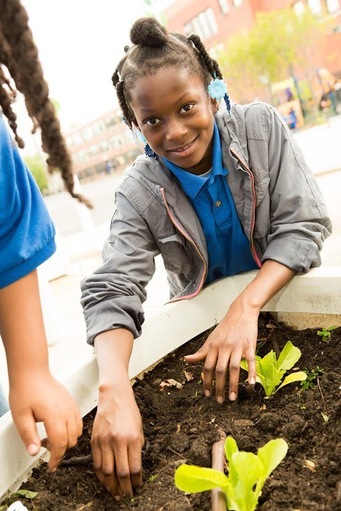 Combined, Midwest school districts reported having over 1,300 edible school gardens, over 2,800 salad bars, and spending over $76.3 million (or 13% of their total food budget) on local foods during school year 2013-2014. In the Midwest, more than 200 school districts reported using local foods in summer meals and over 300 districts reported completing farm to school activities with preschool children. 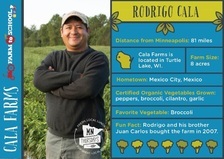 Keep up the good work Midwest farm to school rockstars! We're excited to join the National Farm to School Network (and, hopefully, many of you!) in June for the National Farm to Cafeteria Conference in Madison, Wisconsin. Our team will be in Madison throughout the week participating in field trips, short courses, workshops, and regional gatherings. Check out our latest materials at our table in the exhibitor area throughout the conference. We're looking forward to connecting with you! 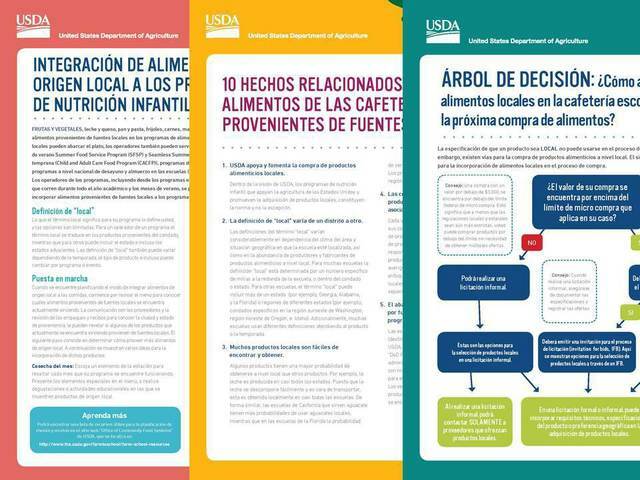 Decision Tree: How Will You Bring Local Foods into the Cafeteria with Your Next School Food Purchase? Everything is better together, right?! In this webinar, we’ll hear from two practitioners who illustrate that partnerships make the difference in keeping food traditions alive in child nutrition programs. This webinar will identify strategies to engage local producers and community leaders in your farm to school efforts. Incorporating nutrition education related to traditional food items into cultural activities such as ceremonial songs and storytelling helps students to identify food as part of Native American heritage. This webinar will help you plan for farm to school educational efforts that engage students throughout the year. Gloria Begay, a Navajo Educator, will highlight school garden efforts and local foods activities in summer meals. Don't miss the last webinar in this series! Join us for a healthy dose of motivation! Deborah Kane, Director of USDA’s Office of Community Food Systems, will hit the highlights by showing how local procurement fits into the larger farm to school picture and share several resources to help you meet your farm to school goals. Open any food magazine these days and you’re bound to find a profile of the latest locavore start-up turning cream and cantaloupe into craft popsicles or maple sap into a whole new category of bottled beverages. As consumer demand for local foods continues to climb like pole beans, venture capitalists are scouring this sector in search of the next hot investment.